With all the challenges General Motors has faced in 2014, perhaps the last place you might expect to find the carmaker is atop the heap of model/segment winners in the annual J.D. Power Initial Quality Awards. But that’s exactly where the American automaker is for the second straight year, with six trophies, beating out second-place finisher Hyundai, which captured five segment awards. General Motors and Hyundai combined won outright or tied for nearly half the 23 segment awards. Porsche finished best among nameplates, also for the second consecutive year, according to J.D. 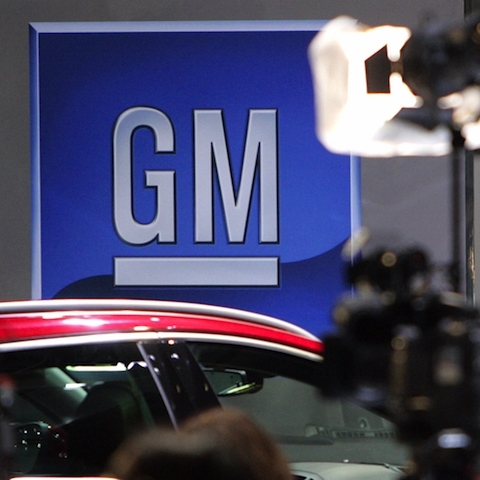 Power, and General Motors was the highest-ranked American nameplate while finishing sixth overall. The J.D. Power study, now in its 28th year, captures data on problems experienced by vehicle owners during the first 90 days of ownership. Initial quality is determined by the number of problems per 100 vehicles (PP100), with a lower score reflecting higher quality. Chevrolet’s segment winners, including ties, were the Buick Encore (tie), Chevrolet Malibu, Chevrolet Silverado HD, Chevrolet Suburban (tie), GMC Terrain and GMC Yukon (tie). Hyundai’s winners were the Accent, Elantra, Genesis, Kia Cadenza and Kia Sportage (tie). Among other multiple-award recipients were Ford, Nissan and Volkswagen, each with three, and Fiat/Chrysler and Mazda with two apiece. The three Volkswagen segment winners actually were Porsches – the 911, Boxster and Panamera. After Volkswagen/Porsche, which scored 74 PP100, the remainder of the top 10 nameplates comprised Jaguar (87), Lexus (92), Hyundai (94), Toyota (105), Chevrolet (106), Kia (106), BMW (108), Honda (108) and Lincoln (109). Overall, 18 nameplates, including seven made-in-America brands, finished above the average of 116 PP100, while 14 nameplates finished below the average. The study, which was fielded between February and May 2014, is based on responses from more than 86,000 purchasers and lessees of new 2014 model-year vehicles and is based on a 233-question battery. For more details, see the 2014 U.S. Initial Quality Study online.